The Indian Government has drafted stricter emission norms for all vehicle categories. Currently, the permissible nitrogen oxide (NOx) emission limit for BS IV petrol cars is 0.08 gram/km while for two-wheelers it is 0.39 gram/km. Once the Euro VI emission norms come into effect, the permissible limit for all vehicles will be restricted to 0.06 gram/km. 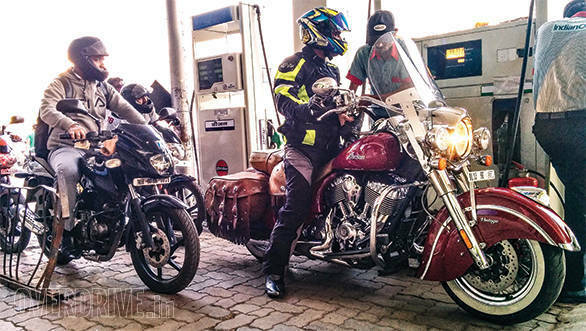 The Government has decided to impose stricter emission norms for two-wheelers. These norms are on par with the current European emission standards. The Government has also decided to implement BS IV emission norms for new two-wheelers from April 2016. For the existing two-wheeler models, the BS IV emission norms will come into effect from April 2017. A group of ministers headed by Union Minister Nitin Gadkari had taken a decision to advance the implementation of Bharat Stage VI (equivalent to Euro VI followed globally) by four years to April 1, 2020. The Euro V norms will be completely skipped. The BS IV compliant fuel contains 50 parts per million of sulphur while the BS VI compliant fuel has 10 parts per million of sulphur. A few days ago, Gadkari has asked all state transport undertakings to ensure that the 17 lakh buses currently operated by them are modified to run on Euro VI compliant fuel or bio-fuel by April 1, 2020. He has also said that Euro VI compliant fuel will made available in metros much earlier than the deadline set by the Government.